Warning: If you are a literary/book purist, TURN BACK NOW. This review is mostly spoiler-free! I’ve been waiting for this day since I saw Wes Ball post a pic on Twitter with a copy of the Scorch Trials book and its movie script. I’ve been sitting on the edge of my seat, wanting to know what will happen next. Of the book trilogy, the second is definitely one of my favorites. Of the movie trilogy(??? Unless they’re splitting The Death Cure into two, as is the YA-turned-movie trend…), I think this one is also my favorite – granted, there’s only two movies in the franchise so far. Let me just start off the review by saying this: If you’ve read the book and expect the movie to follow it to a Tee, then you’re going to be very disappointed. And by a lot, I mean they kept the characters, old (Thomas, Minho, Newt, Frypan, Winston, Teresa) and new (Aris (and his angst about Rachel), Brenda, Jorge, even Harriet), but changed most of the course of the plot into an entirely new story to fit the direction of the first movie. Does this mean we get a better ending for Newt this time for the third movie? I’m crossing my fingers. But seriously– the only similarities the Scorch Trials movie shares with the book are its characters and general plot direction: out of the frying pan, and into the fire, almost literally. Because the Scorch is a desert. Get it? Get it? Alright, I’ll stop. Now, let me just say that I absolutely enjoyed the movie. Somehow I know I should be disappointed that it did not stay true to the book, but man did I enjoy this movie. Movie adaptations never tend to follow the books they’re based on, but this one mostly twisted the source material and squeezed out the most basic plot and conflict and turned it into something else, which I enjoyed. I can probably say I’m one of those people who can separate book from the movie. The story telling could have been better. It might have helped if the Rat Man (Janson, played by Aidan Gillen) or Jorge (Giancarlo Esposito) did the whole spiel about explaining the Flare and its stages. I feel that this was something important that no one in the film ever got to explain, which could confuse many a movie-goer who hasn’t read the books. This movie didn’t randomly turn into a zombie flick, we swear! I love how they paced the movie, though. It’s not overly grimdark, or all hope is lost; it keeps you at the edge of your seat without throwing action scenes and jump-scares (okay there might only have been ONE jump-scare scene but I get surprised easily, especially since like I mentioned: movie follows a different flow from the book) at you in every turn. There’s a great balance of the lulls in action and all the suspense. It helps add to the tension to each character, as well. I felt that the ending, while feeling (and only feeling) similar to the book (throwing us that WICKED– I mean, WCKD is good line again), gives us a very good hook into the third movie. I’m almost 100% sure it’s going to be way different from the Death Cure we’ve read, but I’m also 120% sure it’s going to be AMAZING. Rating this movie 4 out of 5 stars, you can’t stop me! Maze Runner: The Scorch Trials is directed by Wes Ball and distributed by Warner Brothers in the Philippines. It stars Dylan O’Brien, Kaya Scodelario, Thomas Brodie-Sangster, Ki Hong Lee, Dexter Darden, Giancarlo Esposito, Rosa Salazar, Aidan Gillen, and Patricia Clarkson. 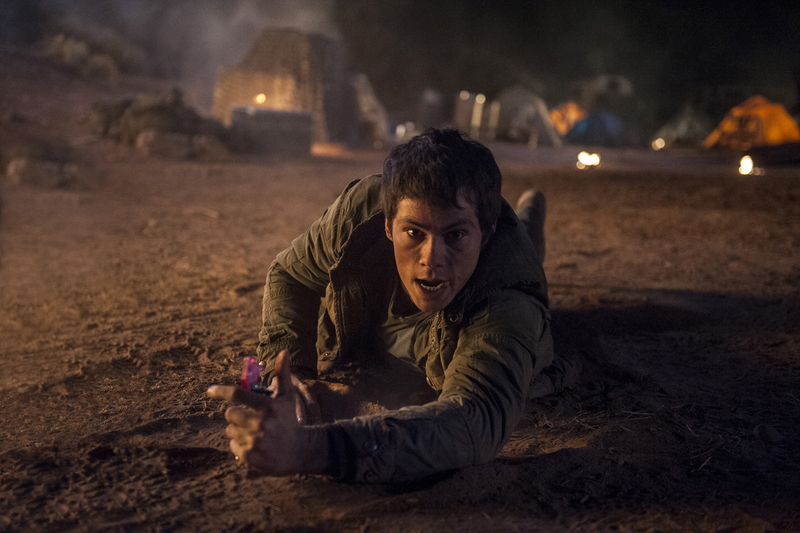 You can watch The Scorch Trials beginning today, September 9th in cinemas nationwide! In the meantime, watch the trailer here!